Here are the reviews posted during January. Please note, this is not a comprehensive list of books I read in January, but rather the books I had the time to review before month's end. Here are the reviews posted during December. Please note, this is not a comprehensive list of books I read in December, but rather the books I had the time to review before month's end. Last week's biggest boom? The Legacy comic is returning. It's got a new creative team (Corinna Bechko and Gabriel Hardman) and the lead is “a young woman who is the great-granddaughter of original movie characters Han Solo and Leia Organa.” How she relates to the original Legacy Fels (who were presumed, but never confirmed, to be descendants of Jaina and Jag) is unknown. It will be an ongoing, not a miniseries. Scoundrels Jedi News has a brief excerpt from the Timothy Zahn eBook 'Winner Lose All,' which will be released next Monday. And Random House has posted 38 pages of Scoundrels to peruse. There's also a Zahn short story (another one) and an interview in the next Insider. Other comics. Nerdist has an exclusive first look at Brian Wood's Star Wars comic, which launches next month. It takes place during the original trilogy era and is Dark Horse's other ongoing. Wood is also handling the Dark Horse Star Wars book for Free Comic Book Day 2013, which will be double-sided with an Avatar: The Last Airbender story. So I am like the worst mod ever, guys. At least, when it comes to posting here. I saw calico_reaction's post here this morning and was like... Huh. Yeah. I run that comm, don't I? I'm afraid I haven't been so great at keeping you guys up. I'm sure you've all heard about Disney buying Lucasfilm and making Episode VII by now - I don't know how one couldn't, if they've been on the internet for the past month at all. Here's everything we officially know - it's not much - but there are a ton of rumors which mostly, at this point, involve possible directors. There has been nothing official said on how or if the Expanded Universe will figure into the movies, but if you've been paying attention to what's been going on with The Clone Wars it's not hard to guess. I've addressed the issue in a pair of posts on CJ: Unlearn what you have learned: Will the Expanded Universe survive new Star Wars movies? Should it? and Reflections on Episode VII, blogging and the future of the Expanded Universe. As for the books... We've got Timothy Zahn's Scoundrels coming up on January 1st, with an ebook short story due out next week. Our first big announcement this summer was Troy Denning's Crucible at SDCC. It's a standalone hardcover featuring just the Big 3 and it's due out in July. The Jaina-centric Sword of the Jedi trilogy by Christie Golden was announced at Celebration VI in August, along with a set of original trilogy-era character-centric books called Rebels. They'll be written by Martha Wells (Leia,) Kevin Hearns (Luke,) and, as we heard later at NYCC, James S.A. Corey (Han.) No release dates on these yet. Also announced at NYCC was Kenobi by John Jackson Miller, which is set somewhere between Revenge of the Sith and A New Hope. It's due out in the fall. I think that's all the major stuff... I am still posting regularly at cj_rss and have started a Tumblr as well. So, question: Should I revive weekly posts on what's up? There hasn't been a whole lot of EU news lately, thanks to Hurricane Sandy, Disney/EpVII and the holidays. Or should I only stick to the major stuff like new book announcements, anything official regarding the EU and EpVII, novel release dates and the like? Is there any interest, or has everyone abandoned LJ for greener pastures? Now that there's the news of a new movie on the horizon, my excitement for the EU (even though I know the new movies are likely to ignore ALL of it) has been reignited, so I'm back to reading EU novels. Not a marathon though: I've still got other SF/F books to read (that's what my blog is known for), but I'm definitely hoping to use next year to really start catching up. If anyone is interested, you can find all of my EU reviews and general discussion of Star Wars HERE. 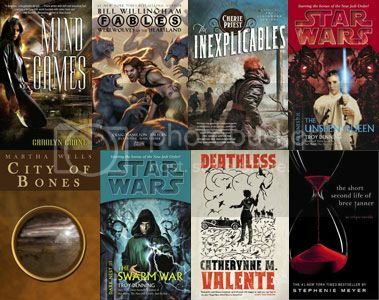 I've talked about how I'm going to tackle this EU reading project, where newbies should start if they want to start reading Star Wars novels, and the like. 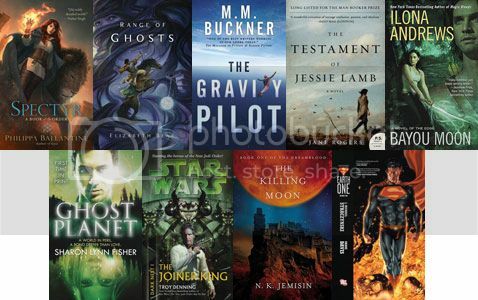 And for anyone who might be interested in my rambling thoughts on the EU books as I read them, I'll be posting (as long as there seems to be interest: I don't want to spam the community with stuff no one is responding to) my monthly review list so long as it includes an EU novel. Moderators, if this post isn't appropriate, let me know and I'll edit accordingly. Thanks! Hi guys, I read the rules and think this post is safe, I hope so... 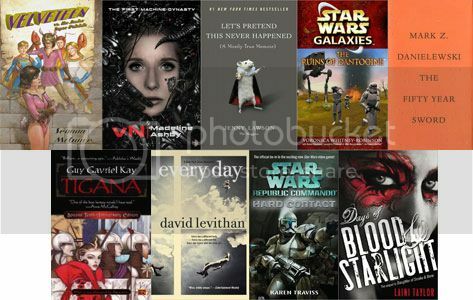 I have a site dedicated to reviewing all the SW books, I have a ton of them up, all categorized by era, etc... and wanted to invite everyone over there to comment and perhaps have some discussions about the different books and topics talked about. Would be great to hear some opinions on the characters and books that are up so far. It's here Anyway, hope to hear from some of you over there, if you're an expanded universe fan. Apart from the RPG, do any of the EU sources give Chiss any sort of enhanced lowlight vision? Out now: John Jackson Miller's Knight Errant novel, a paperback tie-in to the comic series. Upcoming books. Check out the official cover for the Heir to the Empire 20th Anniversary edition. We've also seen some schedule adjustment for 2011 and 2012. Upcoming comics. In May, Dark Horse is launching Jedi: The Dark Side, a Qui-Gon Jinn mini-series. Writer Scott Allie talks about it with CBR. Reprints. Del Rey will be reissuing The Phantom Menace novelization and Darth Maul: Shadow Hunter next year to tie-into the first 3-D release. Both books will feature new original short stories. Toys. There are Nom Anor and Bastila Shan action figures coming out later in the year. Reader. Chris at EUCantina takes a look at gods and god-types in the EU. i'd just like to say how excited i am to be in the middle of my Star Wars obsession revival. i'd also just like to hopefully get a discussion going about one of my favorite aspects of the EU; i really love the continuity between the games and how it spills over into the novels. specifically i mean Kyle Katarn and Jaden Korr. how cool?! i guess i just want to know everyone else's thoughts about continuity in the EU universe? i always get excited when different mediums get linked. what about you all? Community FAQ - your most common book and comic questions answered!